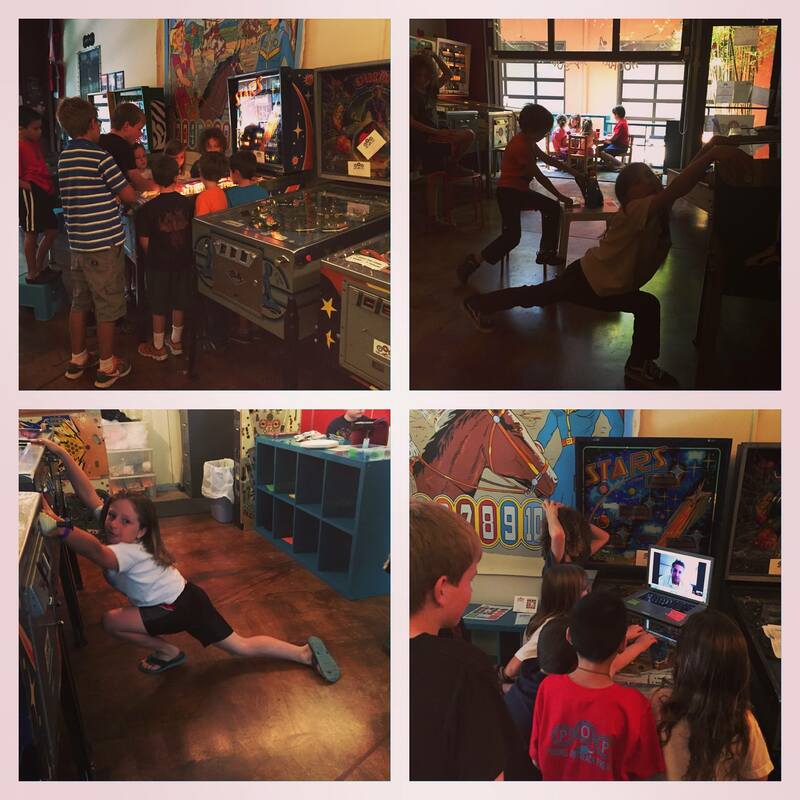 2015 Low-cost Pinball Summer Camp! 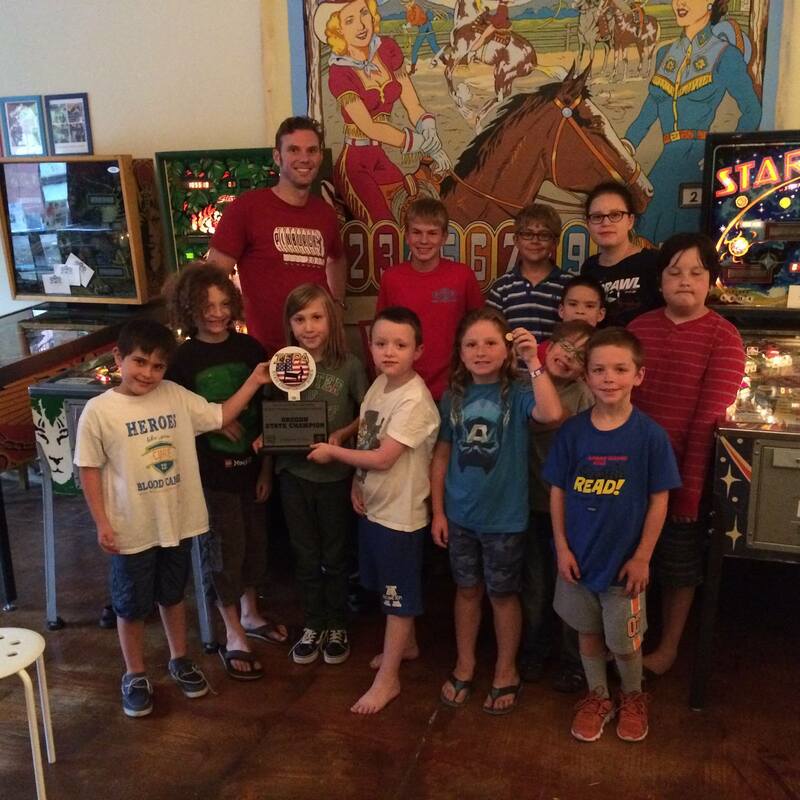 13 kids joined us for our first #pinball #summercamp at POP HQ. 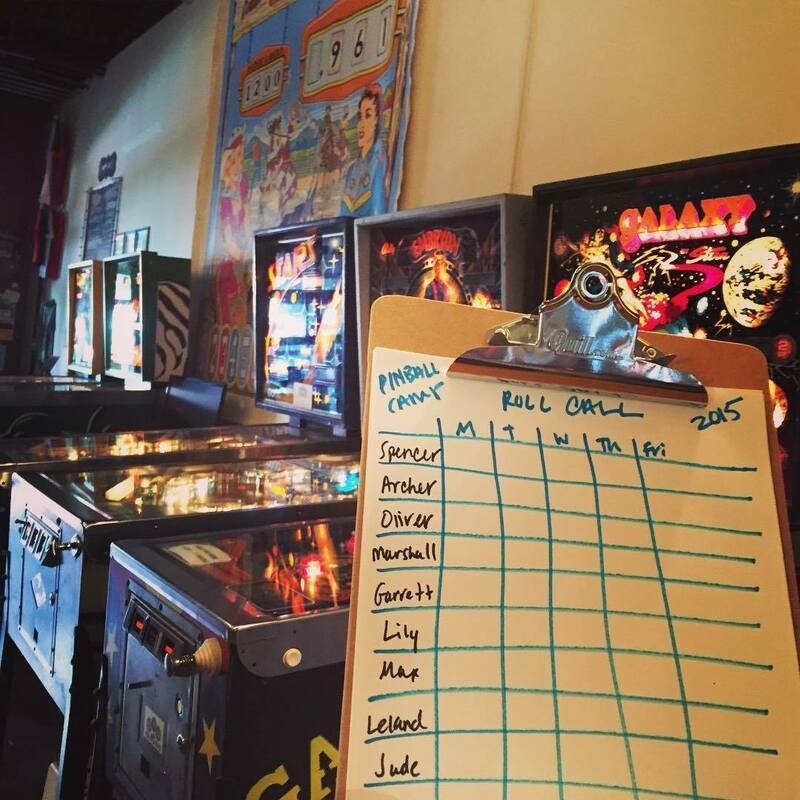 Our low-cost camp was $125 for 5 days of pinball lessons and play. 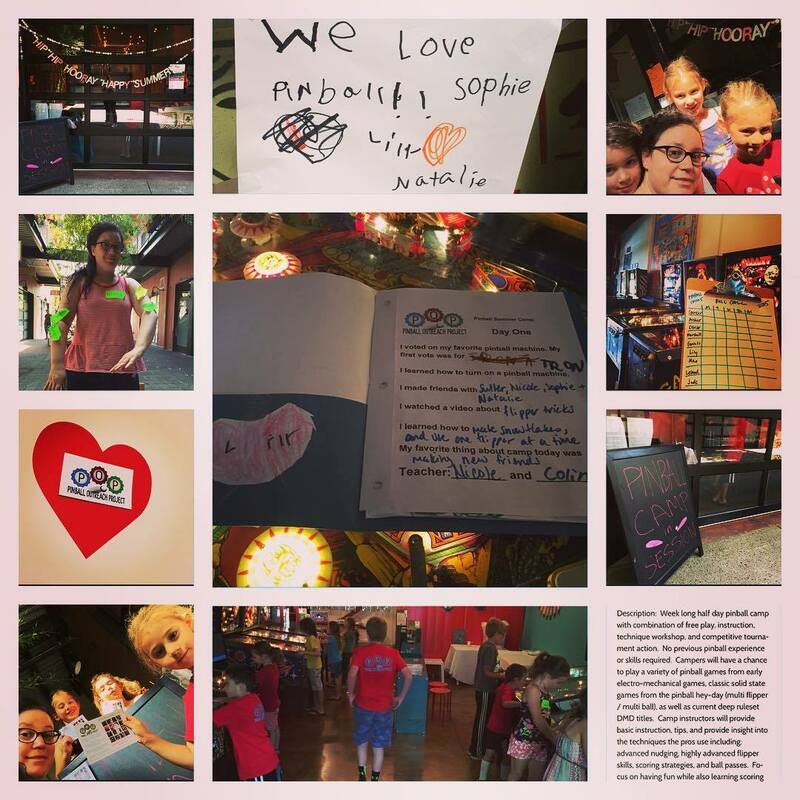 Kids learned different skills, watched tutorials, played in tournaments and made new friends. We had several special guests including video calls with IFPA President Josh Sharpe and World Champ Bowen Kerins. 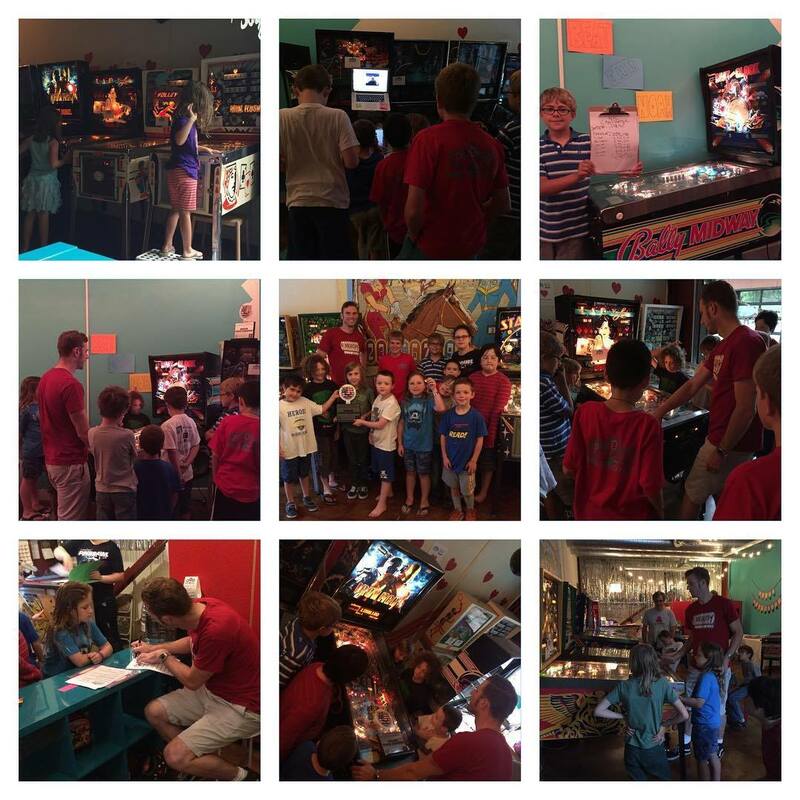 In house guests included former pinball programmer Greg Dunlap and Oregon State Champ Noah Davis. 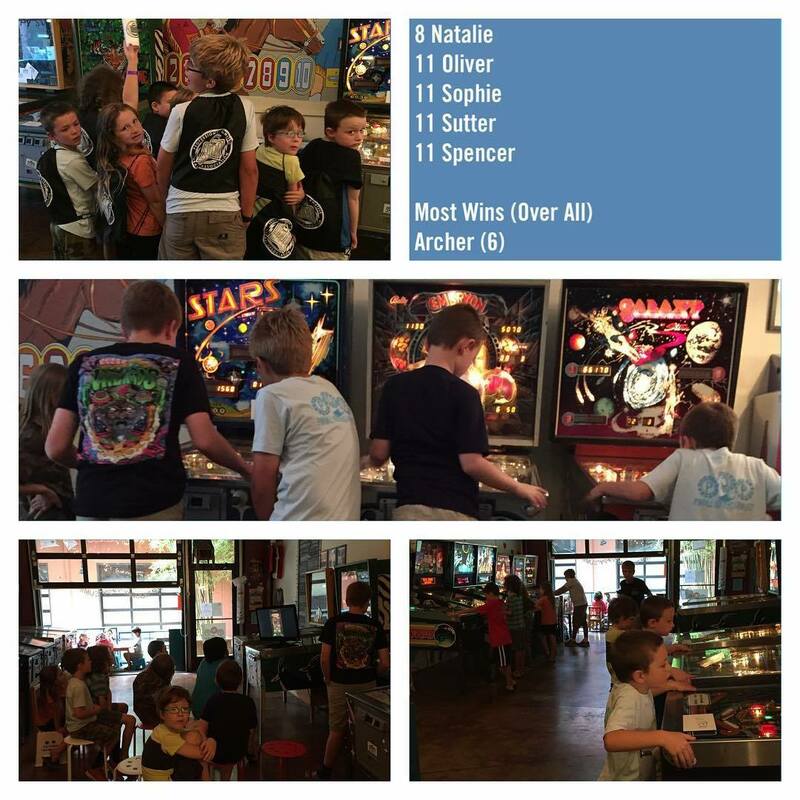 The kids voted on thier favorite game which was Iron Man but WCS’94 was the most played. HUGE thanks to all the special guests and to 13 year old Colin Urban who donated a week of his summer to be a counselor and who also made the camp program. I couldn’t have done it without him. At the end campers were given posters autographed by Keith Elwin, 2 gift certificates (unlimited family play & bring a friend for unlimited play) and an award for completing camp with recognition for STRENGTH, SKILL, STAMINA, SPEED or SPIRIT. What a fun week!! !